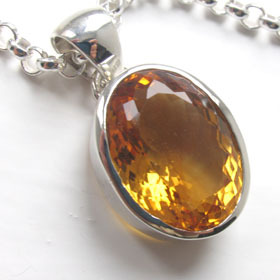 Citrines are available in colours from pale gold to deep cognac. 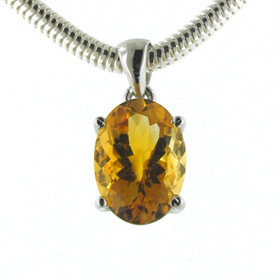 Our citrine pendants have top quality gemstones and have been hand chosen for colour, clarity, brilliance and evenness of colour. 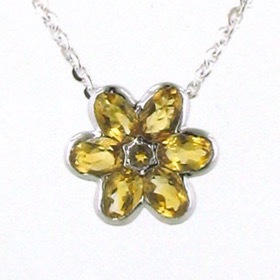 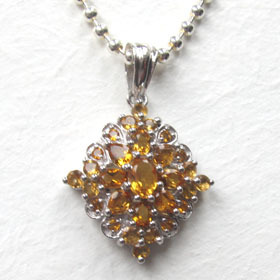 All our citrine pendants are set into sterling silver. 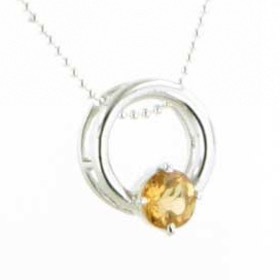 Choose from our silver chains collection to create your own individual citrine pendant necklace.